Do you want to leverage the power of social media marketing to successfully grow your business online? 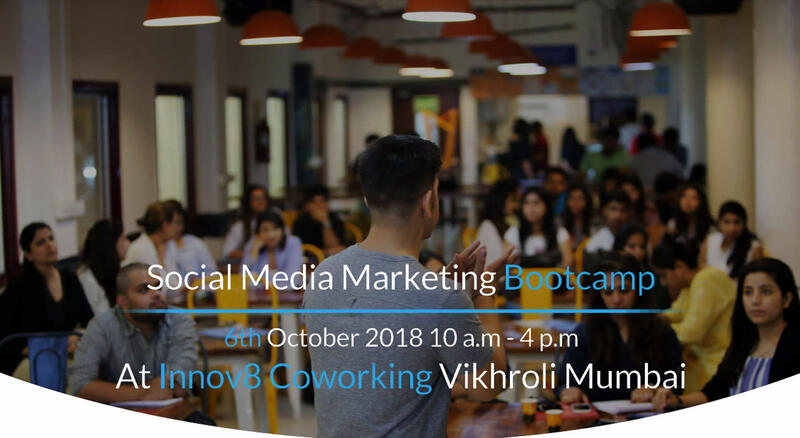 Then, make sure to join in at the Social Media Marketing Bootcamp, an exclusive workshop that has helped 500+ entrepreneurs & business owners to do exactly the same. What exactly is social media, how it works & its present scenario. The social media success cycle & the art of setting the right social media goals. Ultimate social media content strategy uncovering what, when & how much to post. Social media profile optimization tips and social media marketing dos & don'ts. Learn from a seasoned digital marketer and founder of “The Marketing Central” with over 5 years of experience. Trained more than 500 entrepreneurs and business owners and also helped hundreds of businesses across a range of industries to build and deploy predictable digital marketing strategy. Done for you guide, cheat-sheet, swipe files & checklists which will streamline your workflow. Interactive Q and A session to resolve doubts and queries or any question that you felt left unanswered during the workshop.